After one year in operation, the numbers are in: the United Kingdom‘s first energy-positive classroom is capable of producing 1.5 times the amount of energy it needs to operate. Known as the Active Classroom, the energy-producing classroom stands as a shining example of what is possible as the U.K. and other nations attempt to transform their energy systems in response to climate change. The building was designed by experts at SPECIFIC, a U.K. Innovation and Knowledge Center led by Swansea University, whose “research focuses on developing solar technologies and the processing techniques that take them from the lab to full-scale buildings,” according to its research director Dave Worsley. Currently, 40 percent of British energy is consumed by buildings. The Active Classroom incorporates several different technologies and design features to achieve its net positive energy status. 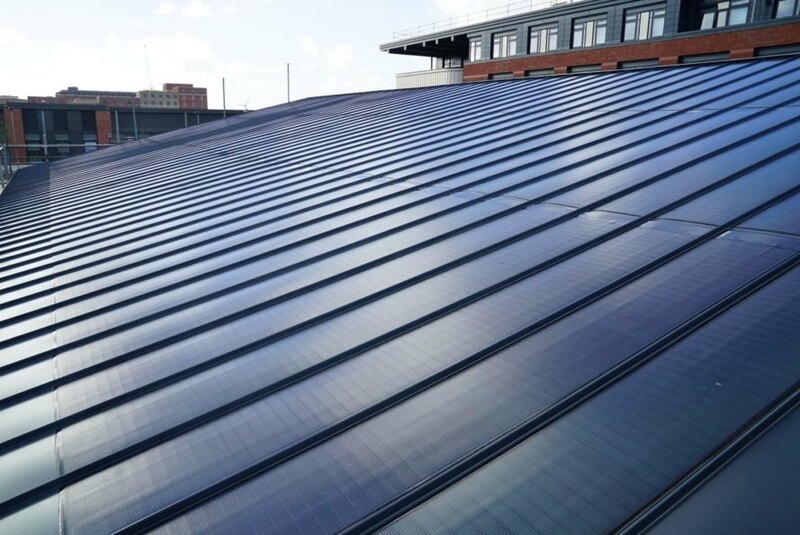 The roof is curved and lined with laminated photovoltaic panels, while a thermal photovoltaic system is installed on the southern facing wall of the building, capable of producing heat and energy from its sun-exposed location. To store this energy, the classroom harnesses lithium ion batteries and a 2,000 liter water tank specifically for storing solar heat. The Active Classroom sets an example for transforming energy systems in response to climate change. 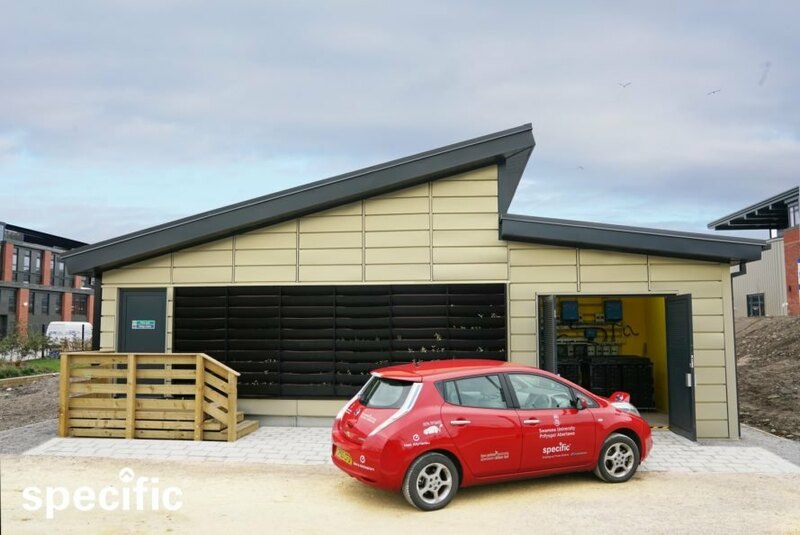 The Active Classroom is capable of sharing energy produced on-site with electric vehicles. The roof of the Active Classroom is lined with solar panels, which help to generate more energy than the building uses. The classroom produces more than 1.5 times the amount of energy it uses.